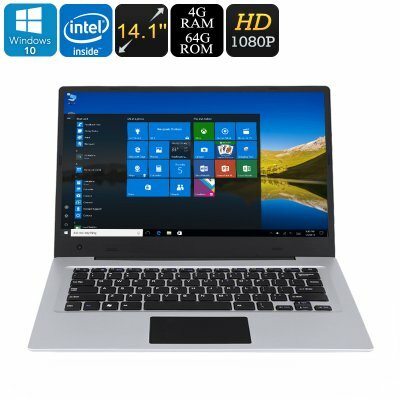 Successfully Added Jumper EZbook 3 Windows 10 Laptop - Apollo Lake CPU, 14.1-Inch Full-HD Display, HDMI Out, 10000mAh, 4GB DDR3L RAM, 64GB Storage to your Shopping Cart. The Jumper EZbook 3 makes powerful computing portable. Featuring the latest Apollo Lake CPU, this ultra-fast laptop is capable of handling your toughest demands without losing a frame. Clocked at 2.4GHz, this Dual-core CPU turns affordable laptops into true high-end devices that deal with demanding games, media, and multitasking sessions as if it’s nothing. Along with its 4GB of DDR3l RAM, the Jumper EZbook 3 delivers a performance comparable to that of many desktop PCs – truly letting you enjoy a stunning experience on the go. Running on a licensed Windows 10 operating system, this latest Windows laptop is guaranteed to deliver a smooth performance. Packed with the latest office tools, this 14.1-Inch Ultrabook can be conveniently used for business and study purposes. Its ultra-slim and lightweight design make the Jumper EZbook 3 extremely portable, allowing you to efficiently carry it along wherever you go. No matter where you’re at, from now on you’ll always be able to browse the web, play games, make notes, or simply watch a movie. Featuring 64GB internal memory and an additional 128GB external storage support – you can be assured that his Windows 10 laptop holds enough space for you to store all your files, media, and games alike. Coming with an absolutely stunning 14.1-Inch Full-HD display, this Jumper laptop portraits all media and programs in vivid color and beautiful detail. Supporting 1080p resolution and a 16:9 display ratio, it provides great opportunities for watching movies and browsing the web. The laptop has furthermore been equipped with an HDMI-out port, allowing you to hook it up to your large screen TV. From now on you’ll be able to browse the web, play games, and enjoy all other features this powerful Windows laptop has to offer on a large screen – truly letting you take the most out of both your laptop and television at the same time. This Windows 10 laptop has furthermore been equipped with an epic 10000mAh battery that brings along countless hours of continuous usage time. No matter how demanding the task ahead, this laptop will support you throughout the day. With Bluetooth 4.0 support further increases your overall connectivity. Perfect for business, study, and entertainment alike – this powerful laptop is guaranteed to meet your demands. The Jumper EZbook 3 comes with a 12 months warranty, brought to you by the leader in electronic devices as well as wholesale electronic gadgets..